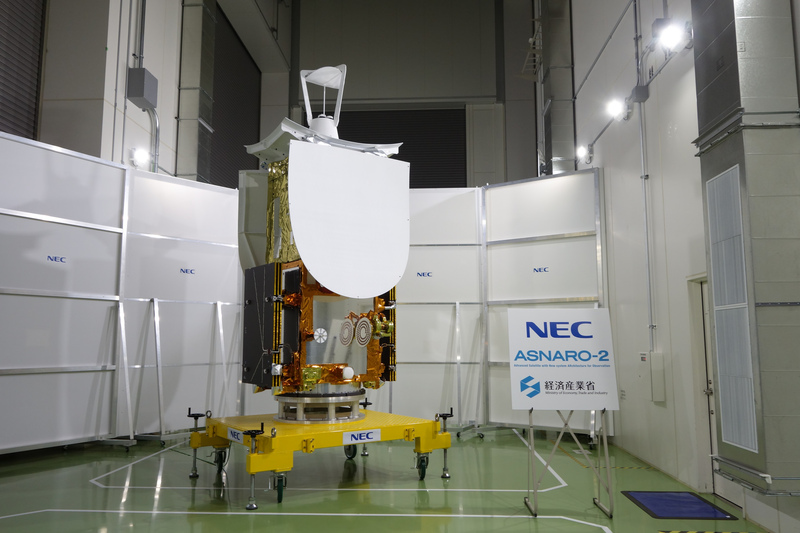 ASNARO-2 is a Japanese Synthetic Aperture Radar (SAR) Earth-imaging satellite developed by NEC Corporation and USEF (Institute for Unmanned Space Experiment Free Flyer); it is the second mission flying under the ASNARO small satellite program (Advanced Satellite with New system Architecture for Observation) funded by the Japanese government for the advancement of new, cutting-edge space technology with special focus on compact satellites with high performance. The ASNARO project was initiated in 2008 with the goal of developing a satellite bus with an open-architecture that reduces development and manufacturing cost while utilizing state-of-the-art technologies. 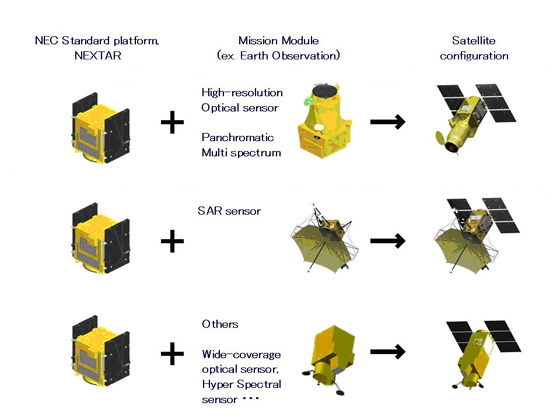 The result was the NEXTAR (Next Generation Star) NX-300L satellite platform that can host a broad spectrum of payloads including optical imagers, hyperspectral payloads and radar instruments. Funding for ASNARO is provided by NEDO (New Energy and Industrial Technology Development Organization) – a department within the Ministry of Economy, Trade and Industry (METI). 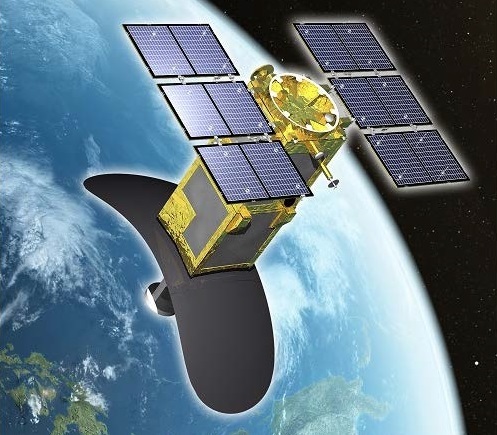 ASNARO-1 launched in November 2014 atop a Russian Dnepr rocket and successfully demonstrated the satellite platform, thus retiring risk for future missions like the ASNARO-2 radar satellite and ASNARO-3 hyperspectral-imaging mission, both expected to launch before 2020. 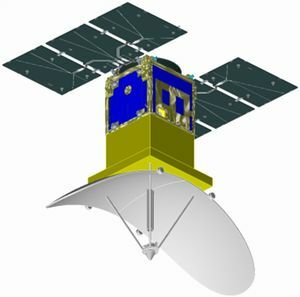 The ASNARO-2 mission combines the standard satellite platform with an X-Band Synthetic Aperture Radar payload designed for small satellite missions, but achieving a performance that compares very favorably to large SAR satellites launched in recent years. The 570-Kilogram ASNARO-2 satellite covers a 10-Kilometer wide ground swath with its imaging radar system in high-resolution mode, capturing data at a ground resolution better than one meter and allowing for image acquisition in different modes to deliver a variety of data products including wide-swath ScanSAR products and polarization-sensitive imagery. In architecture, the ASNARO-2 satellite platform is almost a carbon copy of the first mission with some changes to the Main Spacecraft Control Unit, the Integrated Solid State Recorder and the X-Band communications system. 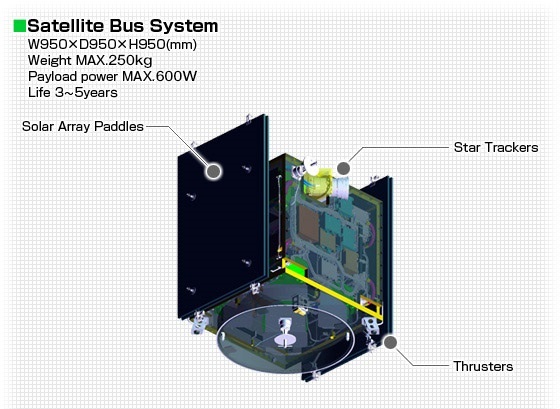 The craft’s bus has a dry mass of 305kg, the payload weighs in at 220kg and the vehicle launches with 45kg of maneuvering propellant for orbit adjustments and maintenance over a mission duration of at least five years, extended from the initial two-year expectation of the small satellite platform after excellent in-flight performance by its initial missions. 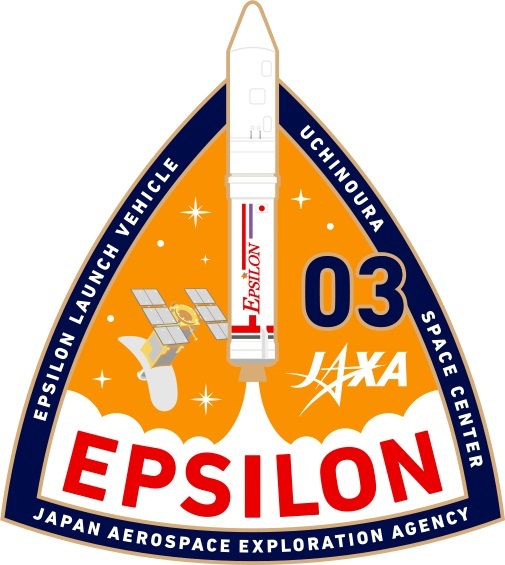 The NEC Standard Minisatellite Bus is the result of a joint JAXA/NEC study for the development of a highly adaptive satellite platform with a mass of under 500 Kilograms to be able to launch on small launch vehicle like Japan’s new Epsilon rocket. Named NEXTAR-100L, -300L and 500L, the satellite bus is available in different sizes but includes standardized mechanical, thermal, electrical and radio interfaces for easy manufacturing at low cost and short periods of time after being ordered. The development of NEXTAR also included the establishment of a ground system, data processing and product distribution solutions. Each of the satellite’s two deployable solar arrays comprises three hinged panels, using triple-junction gallium-arsenide solar cells to generate an end-of-life power of 1,300 Watts fed to an Array Power Regulator (APR) that performs step-down regulation, outputting 1,200 W of power to the battery unit. A Li-Ion battery unit consisting of 11 cells with a total capacity of 50 Amp-hours is controlled directly by the power regulator and a Power Control Unit (PCU) is in charge of commanding the APR. The PCU conditions the satellite’s main power bus to deliver power to all users and provide bus protection. It is also tasked with the actuation of drive mechanisms through commands directly from the spacecraft computer and it returns telemetry containing information on the health of the electrical system of the spacecraft. The NEXTAR platform features a precise pointing system with provisions for agile attitude maneuvers needed to support some of the imaging modes of optical and radar systems, e.g. ScanSAR multi-strip collection. NEXTAR is designed for a variable Attitude Determination and Control configuration to cater to specific missions needs including high-delta-v missions and particular pointing requirements. Attitude determination employs an Inertial Reference Unit and Coarse Sun Sensors for initial attitude acquisition and two Star Trackers for precise three-axis orientation calculation based on imagery collected of the star-filled sky and put through a software algorithm to identify known stars from which the craft’s three-axis attitude can be calculated. A GPS terminal provides a pulse-per-second signal for time synchronization across the satellite and its navigation data is used for orbit determination. Three Magnetic Torque Rods with redundant coils are used to create angular momentum by running a current through coils in the presence of Earth’s magnetic field. The torquers are regulated by computers that control the current that is passing through the coils in order to control the force generated on each axis. The magnetic torquers are used during momentum dumps and for attitude control in spacecraft safe mode. All in all, ASNARO-2 achieves a pointing accuracy better than 0.05 degrees with a high stability of 0.01°/s in attitude hold mode and agile pointing at rate of 1°/s which allows the satellite to quickly switch between scenes and support scanning image acquisition. ASNARO-2 supports off-nadir imaging at angles up to 45 degrees. 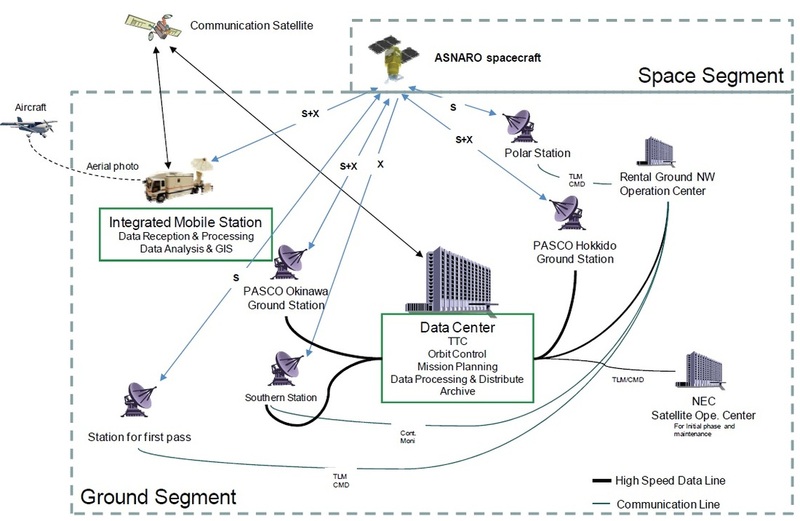 The calculation of spacecraft attitude and generation of commands to the actuators is handled by a dedicated AOCS Processor which interfaces with the central SpaceWire router of the spacecraft that routes the appropriate data to and from the Avionics Control Modules of the attitude sensors, actuators and the propulsion system. ASNARO-2 uses a Reaction Control System consisting of four 3-Newton thrusters using Hydrazine monopropellant. The thrusters can be used for attitude control and momentum dumps, but their primary application will be orbit maintenance and adjustments, supplying relatively small amounts of delta-v to keep the spacecraft at its operational altitude of 504 Kilometers. A central tank holds 45 Kilograms of Hydrazine propellant, operating in blowdown mode with a single pre-flight pressurization on the ground, and propellant is fed to the thrusters through only one propellant manifold, featuring redundant thruster valves and a central latch valve. 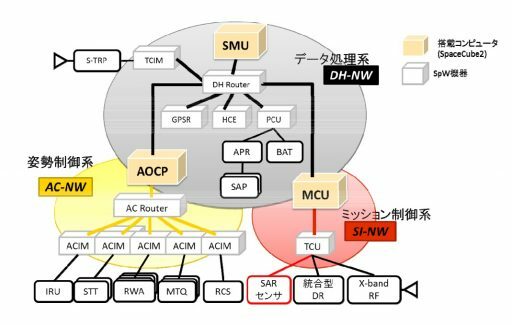 NEXTAR satellites use a SpaceWire data architecture that allows the transfer of data between the individual subsystems of the satellite, including the payload, at up to 400MBit/s per channel. The heart of the data and command handling system is the SpaceCube 2 onboard computer, a flexible multi-purpose embedded computer developed by JAXA in 2005 as a powerful onboard control solution for handling all computing tasks occurring on a satellite mission of any size and scope. SpaceCube 2 weighs under two Kilograms, is 7.1 by 22.1 by 17.8 centimeters in size and draws 14 Watts of electrical power, comprising three central elements: a Central Processing Unit, a Data Recorder and a Power Supply Module. The CPU is a HR5000 processor chip that contains a 64-bit microcontroller based on MIPS 5kf architecture operated at a clock speed of 33MHz. 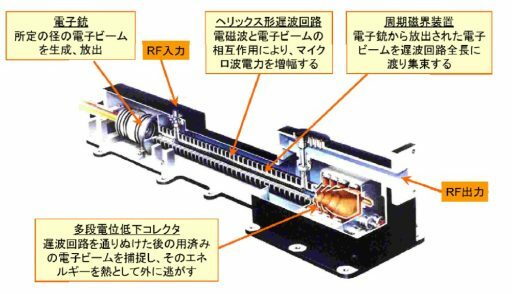 The Power Supply Modules receive the 28-Volt main bus of the spacecraft and generate voltages of 1.8, 3.3, 5.0 and 15 Volts for the operation of the various electronics. Internally, SpaceCube 2 uses PCI connections for data exchange and commanding provided from the housekeeping communications system comes via an RS-422 analog bus. Up to eight SpaceWire input/output channels can be supported by SpaceCube 2 and ASNARO-2 employs an additional 12-channel SpaceWire Router to interconnect all satellite systems. SpaceCube 2 operates on a Real-Time Operating System that is based on the TRON (The Real-time Operating system Nucleus). Internally, the SpaceCube 2 CPU includes 2MB of flash memory, 4MB Burst SRAM and 4MB of Asynchronous SRAM while the Data Recorder includes 1GB of SDRAM (2x512MB) and 1GB of Flash. 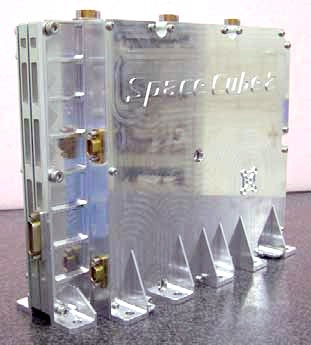 ASNARO-2 uses a mass memory external to SpaceCube 2 to store data collected by the X-Band SAR. NEXTAR uses an S-Band Telemetry & Command System for command uplink from the ground and telemetry and housekeeping data downlink from the spacecraft. Payload data downlink is accomplished via a high-speed X-Band terminal featuring a steerable antenna to track a ground station as the satellite moves overhead without requiring an orientation change for communications sessions. The Antenna Pointing Mechanism has a mass of just 4.4 Kilograms including the antenna and supports rates of up to 4 degrees per second. 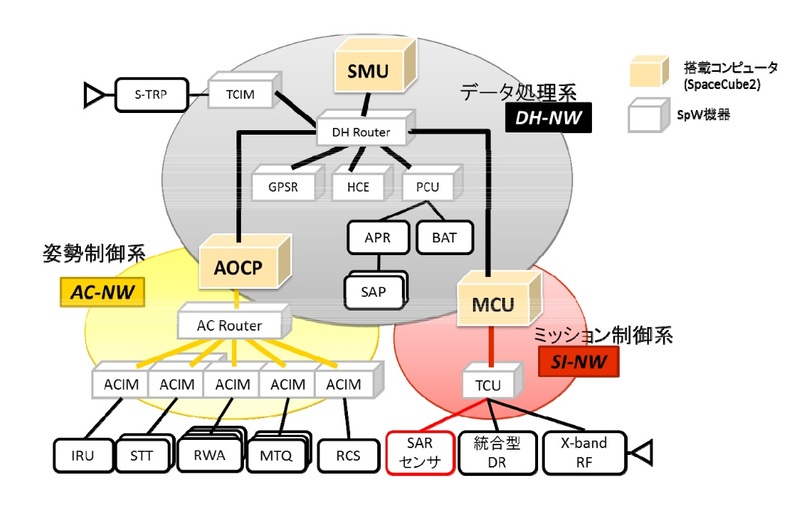 Overall, the X-Band system achieves a data rate of 800 Mbit/s using a 16-QM modulation. 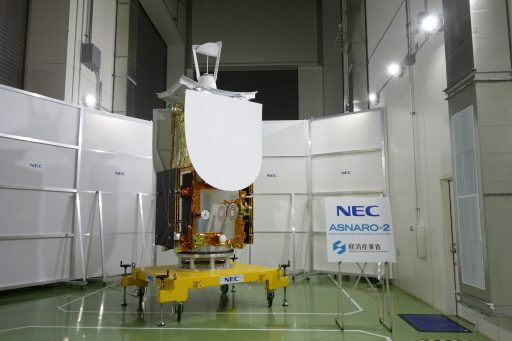 The sole instrument of the ASNARO-2 satellite is known as XSAR – X-Band Synthetic Aperture Radar, a 220-Kilogram package designed by Mitsubishi Electric Corp. comprising a three-segment parabolic antenna dish that bounces radio pulses in X-band off the ground and records the reflected echo from which high-resolution pictures (GSD 1m and better) can be produced. The 1.5-Kilowatt radar employs a Multi-Port Amplifier comprising an array of gridded-pulse Traveling Wave Tube Amplifiers. 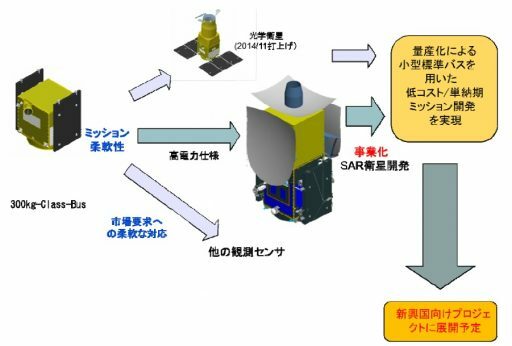 XSAR can operate in spotlight mode, that is keeping the instrument pointed at one single target as the satellite passes over, allowing the instrument to capture a 10-Kilometer wide ground area at a resolution of better than one meter. In stripmap mode, the instrument acquires successive scans of a 12-Kilometer wide swath with a ground resolution exceeding two meters. The ScanSAR mode uses the satellite’s attitude control system to sweep out adjacent image strips to broaden the instruments ground swath to over 50 Kilometers, coming at the cost of resolution as ScanSAR has a target resolution of 16 meters. The XSAR instrument can operate in switch between horizontal and vertical polarization and its data processing system is capable of delivering raw data or compress data with a compression factor of two or four to reduce downlink volume as needed. Copyright © 2019 ASNARO-2 | Spaceflight101. All rights reserved.